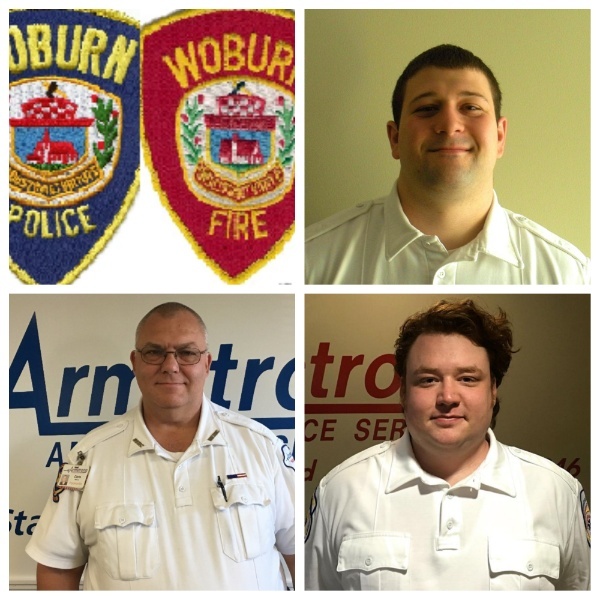 It is with great honor to announce that The Metropolitan Boston EMS Council has chosen Armstrong Ambulance Service, Woburn Fire Department, and Woburn Police Department winning recipients of the 2017 Outstanding Team Response of the Year Award! Armstrong Ambulance Service paramedics, along with Woburn Fire and Police units responded to a reported patient having a seizure. En-route to the call, the units were updated that the patient was actually on the roof of a building and a bystander was performing CPR. Upon arrival, EMS, Fire and Police personnel were presented with an incredible challenge of a technical rescue for a 48 year old man on a rooftop in cardiac arrest. The Woburn firefighters, police officers and Armstrong paramedics all worked together to expertly complete the rescue while continuously providing resuscitation efforts. This was accomplished by applying the LUCAS automated compression device, placing the patient in a scoop stretcher and carrying him down the Woburn Fire Department’s ladder truck. The Seventeenth Annual Region IV EMS Awards Ceremony recognizing the following recipients will be held on Thursday November 9th at the American Legion Post 440, 295 California Street in Newton, MA. We thank you all for dedicating yourselves to excellence and exceptional patient care. Pictured are the three responding Armstrong Paramedics. Top right: Kris Keraghan. Bottom left: Chris Mahoney. Bottom right: Sylvian Ellis.